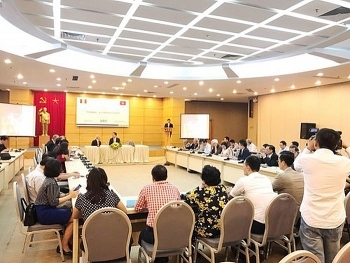 Economic, trade, and investment ties between Vietnam and Romania remain modest and have yet to match their full potential, as heard at a seminar introducing the Romanian market in Hanoi on October 22. 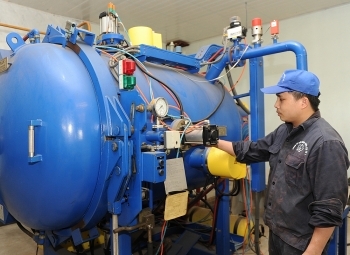 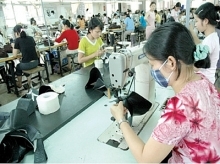 (VEN) - Despite positive results achieved in recent years, trade and investment cooperation between Vietnam and Bulgaria remain unstable and incommensurate with the potential and desires of the two countries. 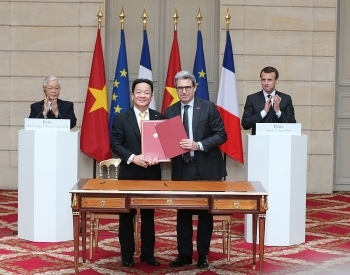 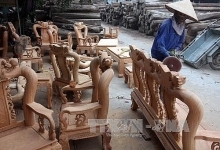 Vietnam and the European Union (EU) demonstrated their efforts to push the early signing, ratification and implementation of their free trade agreement and Investment Protection Agreement (IPA) during Prime Minister Nguyen Xuan Phuc’s ongoing visit to Europe. 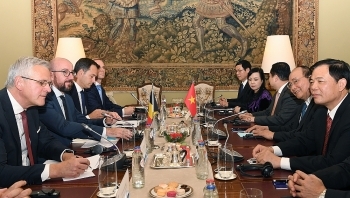 Vietnamese Prime Minister Nguyen Xuan Phuc and his Belgian counterpart, Charles Michel, highlighted the strides in the two countries’ relations in numerous spheres during their talks in Brussels on the afternoon of October 16 (local time). 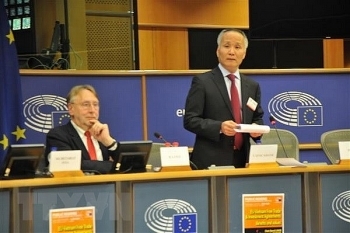 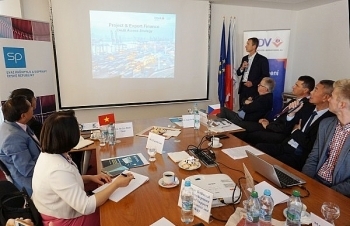 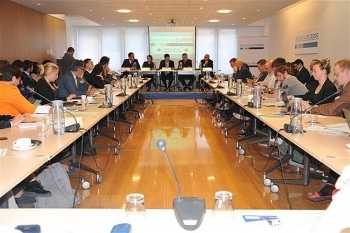 A businesses conference promoting partnerships between Vietnamese and Czech companies took place in Prague last week. 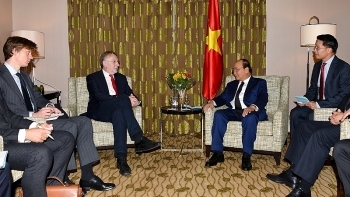 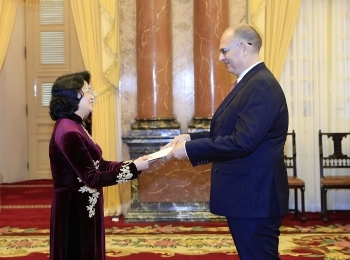 (VEN) - Mr. Kim Højlund Christensen presented his credentials to Acting President of Vietnam Dang Thi Ngoc Thinh on Tuesday and has officially taken up his position as Danish Ambassador to Vietnam, to further strengthen the important bilateral relationship between our two countries, the Danish embassy said in a statement.